Mobile Catering Van for Events – Why choose AllezNutrition for your next event? AllezNutrition mobile catering van for events, based in West Sussex, covering Surrey, Sussex and Hampshire. Our product range includes a tasty selection of bacon rolls (bacon/cheese, BLT, bacon/egg, etc), succulent Cumberland sausage baps, warmed butcher’s sausage rolls, veggie savoury pastries, pasta pots, homemade soup, quiches/salads and a large selection of fresh homemade cakes. For the more sporty, our ‘grab & go’ range includes hard-boiled eggs, energy balls and bananas. We pride ourselves in our coffee beans and all staff are barista trained, serving excellent Cappuccino, Americano, Latte, Mocha, Espresso, etc. We also offer wonderful hot chocolate, speciality teas and have a cross-section of cold drinks including freshly squeezed orange juice. Upon request, any foods can be tailored to your specific event. We have provided catering services to all types of community, corporate and sporting events. 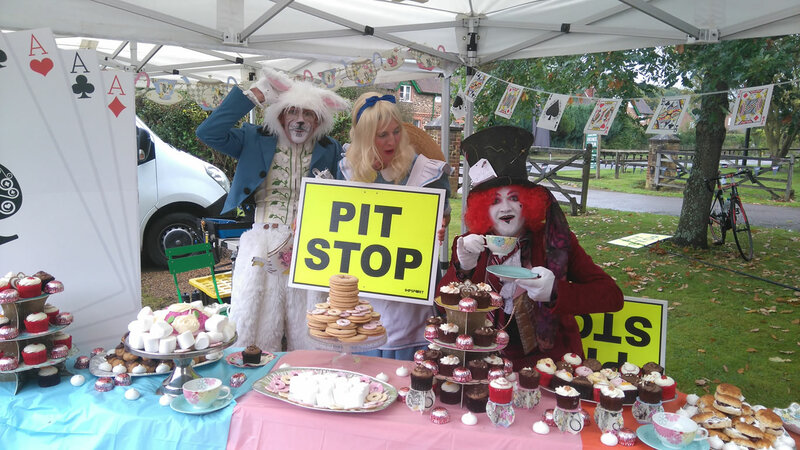 To date, regular events that we have attended include school summer fetes, equestrian events (dressage/show-jumping/trials), kid’s/adults athletic events, corporate cycling sportives, classic car events, music concerts and charitable community events. 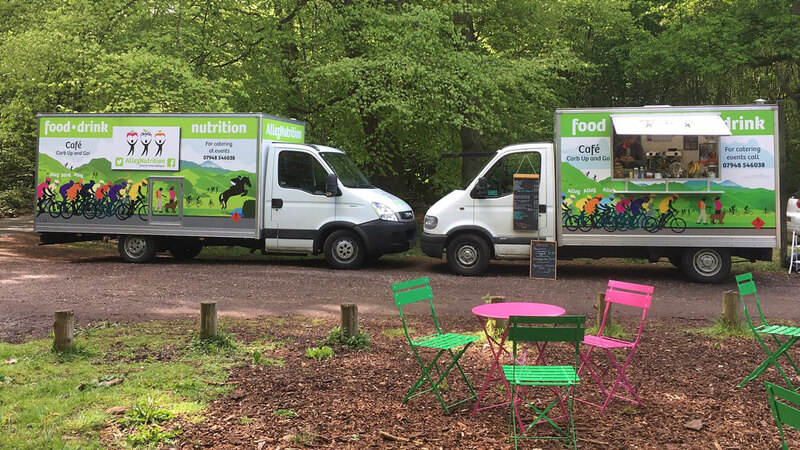 AllezNutrition cover the whole of the South East, so if you have a specific catering need for an event, contact AllezNutrition Mobile Catering Van for Events today. 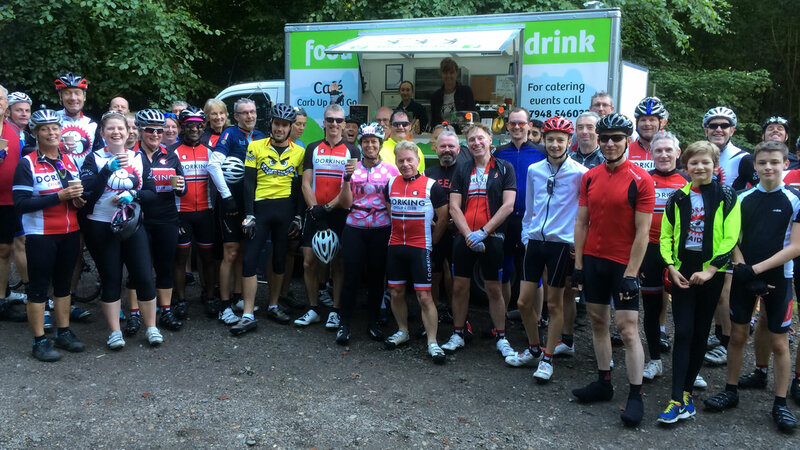 As a mobile cafe, we excel in serving the best Barista Coffee in the Surrey Hills and surrounding areas.